Oppo A57 now available in the Philippines. Oppo A57 officially debuts in the Philippines. The handset primarily falls in the midrange category filling up the space below the Oppo F3 Plus and the recently released Oppo F3. The handset sports the "Unstoppable Selfie" tagline due to the fact that it comes with a powerful 16MP selfie camera with 1.12 um pixel size and f/2.0 aperture lens. But the handset is not all about Selfie, it is also capable of doing everyday tasks due to its legit specs sheet. At first look, the Oppo A57 registers a great resemblance to the handsets that came before it. Design-wise, one could instantly recognize that it's an Oppo handset. It comes in both Gold and Rose Gold hues, and sports thin bezel to make the display looks more engaging. Speaking of display, the Oppo A57 is framed in a 5.2-inch HD IPS LCD with 282 ppi pixel density. Expect to have a generous viewing angles with this handset. Under the hood, the Oppo A57 churns with a Qualcomm Snapdragon 435 chipset which features 1.4GHz octa-core Cortex-A53 CPU and Adreno 505 GPU. On top of that, the handset packs 3GB of RAM for faster app launching and multitasking activities. Across the board, you'll get 32GB native storage with the option to expand up to 256GB via dedicated microSD card. The handset also features a front-mounted fingerprint sensor which could be very convenient to use since it doubles as the handset's home button. Aside from the powerful front-facing shooter, the Oppo A57 also packs a 13MP rear shooter with 1080p video recording. To be specific, the camera has an f/2.2 aperture with phase detection autofocus and LED flash. This LTE-capable handset is powered by 2900 mAh non-removable battery and Android 6.0 Marshmallow with Color OS 3.0. 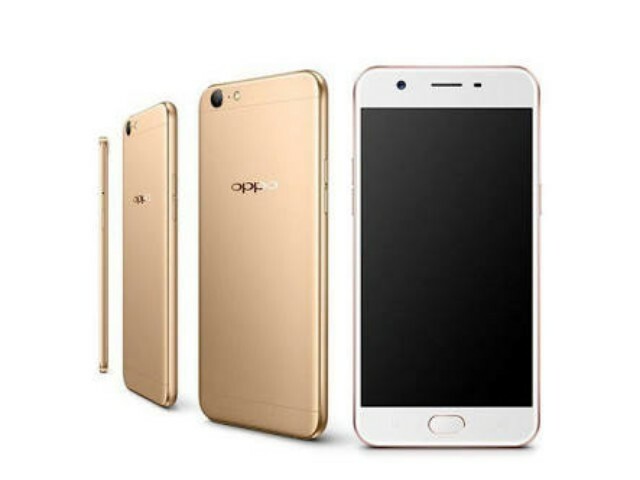 The Oppo A57 is priced at Php 11990 and is expected to be available in the Philippines later this month or early July.